Hi there! 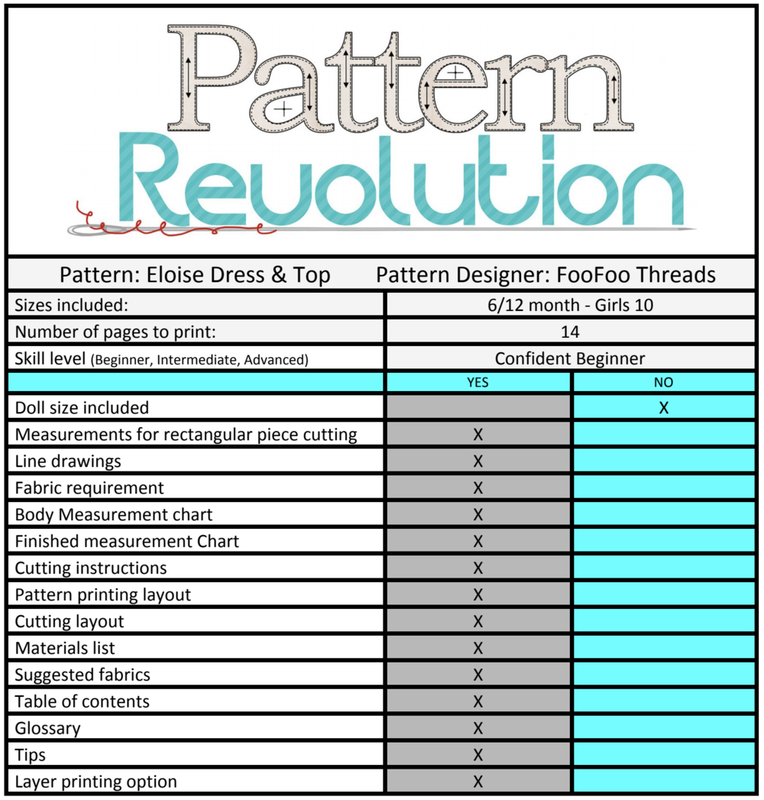 It’s Kari from That’s-Sew-Kari, back with a review of the newest FooFoo Threads patterns. The Eloise Girls Vintage Handkerchief Sleeve Dress and Top is vintage inspired with gorgeous handkerchief style sleeves. There are several options included in this pattern which makes it easy to tailor to your liking. Some of the included options are: two lengths- dress (vintage length) or top (hip length), optional angled waistband and back ties, two sleeves - handkerchief and “split” sleeves for a more dramatic effect, and last but not least, optional trims. The size range covers 6/12 month - GIrls 10. This pattern also pairs SO fantastically with the Easy Leggings with Cuffs -- check out Nacole’s version below to see that pairing. The pattern contains many options for trims, coordinating waistband, back ties and more, but sometimes I prefer to sew up a “simple” version and let the fabric speak for itself. If you know me, I am quite picky about making sure my plaids (or stripes or print...haha) match across the seams and are showcased as best I can. It’s never the quickest process, but the end result is always worth it. This pattern sews up really easily and there are even tricks to reducing the bulk at the hemlines. The placket is SUPER easy and one of my favorite types of plackets to sew because it is seriously foolproof. The back bodice uses button loops in lieu of button holes which is beginner friendly. I really loved that the beginning steps have you iron all your hems. I do this with every pattern so I felt a bit validated :) I prefer ironing all my hems when my fabric is flat -- so much easier! I have the tunic version with cuff leggings planned for my 8 year old in a more “fashionista” vibe, but I had forgotten to place my knit order so I didn’t get it sewn in time for this review. SOON!!! She will rock it, for sure. 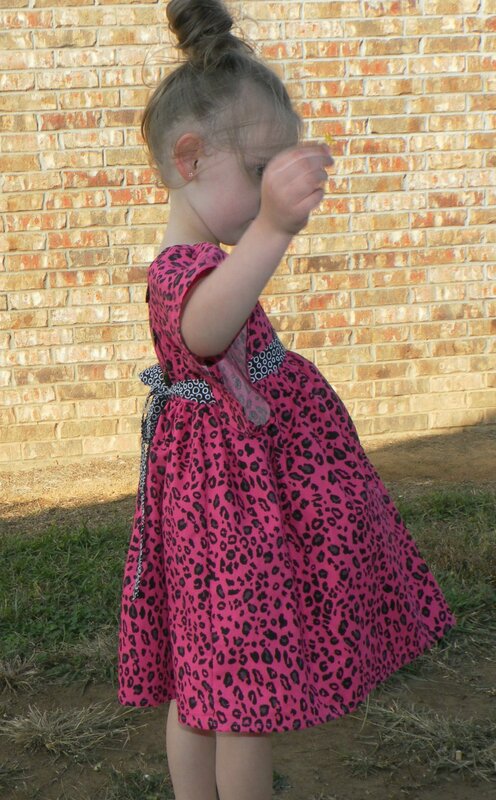 Cassie review of the Clementine dress by Foo Foo Threads is the bees knees! Several styling option to choose from such as with or without a collar. Erica sews her version without the collar but with same adorable twirl-able skirt and tie back. Teronia reviews the Camille top and Marley pants by Foofoo Threads. It's sure to bring some flare into spring! Kim shares her version of the Esther Rose Bib/Yoke Dress. Jane shares her review of the Katy Dress from FooFoo Threads. Kim shares the new Roller Coaster Pants from FooFoo Threads.